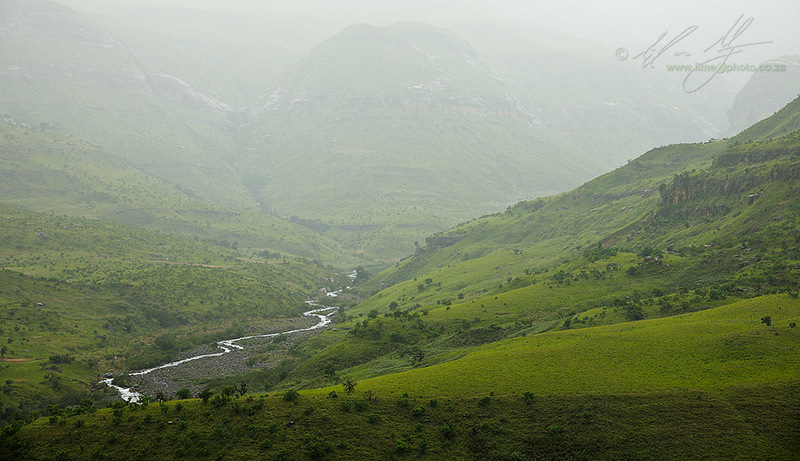 Thick mist hangs over the Tugela Valley after we arrive. The river itself snaked out like a silvery serpent. 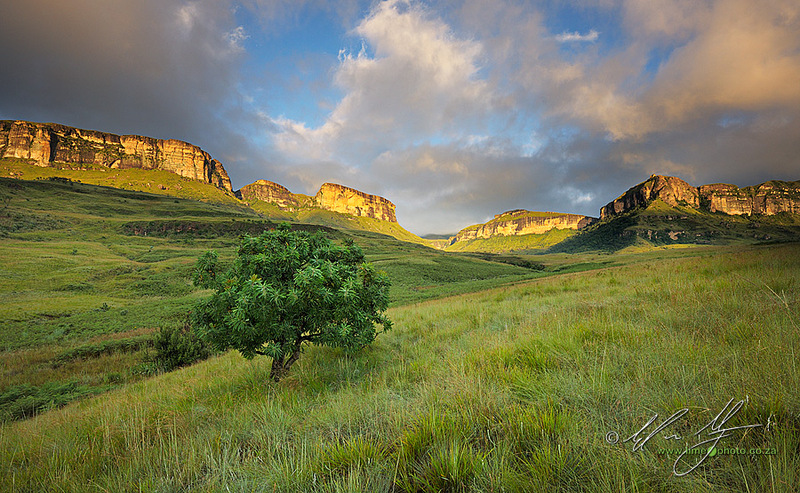 We arrived in the Berg on Thursday afternoon after having driven through driving rain for the better part of the morning. The clouds had settled in a damp mass against the Amphitheatre as we looked on at the wet vista in front of us (see above). 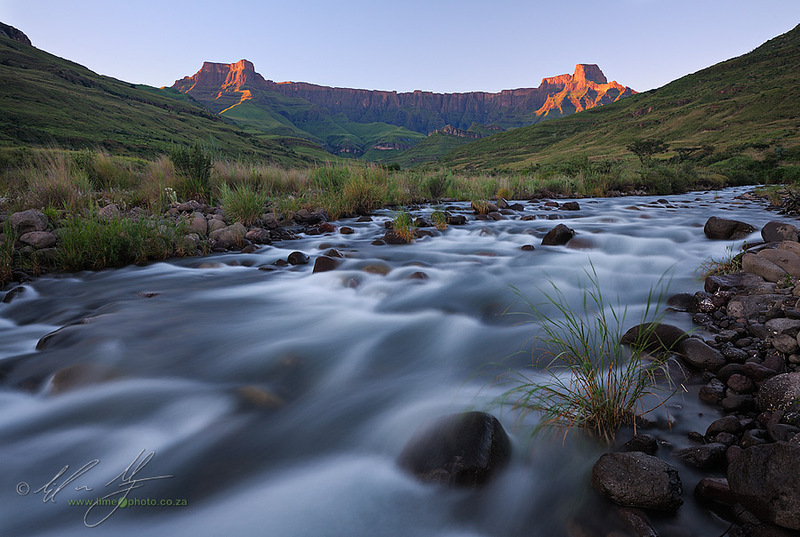 The Tugela was flowing strong and fast down the valley - to the point that we wondered about any river crossings that might have to be negotiated. Still, the cottage at Thendele Hutted Camp allowed us to watch the unfolding clouds and rain from the sanctuary of a warm and dry veranda. The following morning the clouds still hung heavy over the Tugela Valley. The dawn shoot was a bit of a letdown, but the weather meant we were able to sit and discuss technique and theory without feeling overtly guilty about not being out there shooting. Then the clouds opened and we were out and the weekend started in earnest. 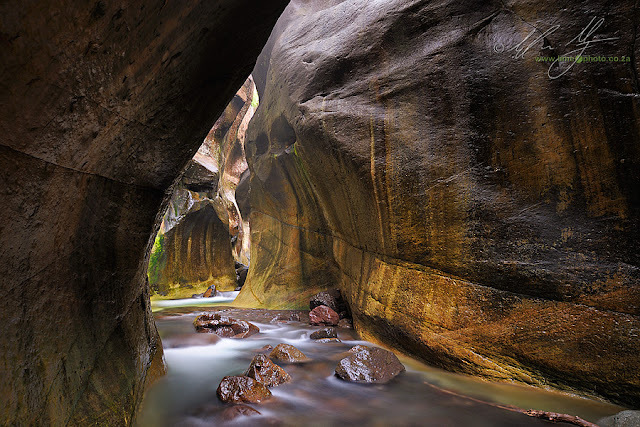 Working in the tunnel, I was ecstatic to find the reflections on the rock face creating a kind of circular pattern that continued the circular shadow of the left wall. Two good morning shoots and a fantastic walk to the Tunnel (sadly not everyone made it this far) meant for a wonderful set of images from the photographers. Composition and exposure were probably the most concentrated upon aspects over the course of the 4 days. Having Paul with is always a pleasure as he and I see the world [photographically] rather differently. This meant fro some interesting discussions amongst the photographers in terms of how to see images. Our last morning and the first cloudless day we had. Like the first Thanda workshop of the year (Paul is currently running the second) I came back invigorated and looking forward to an active year of image making.